So I saw that Han published the Simple cleansing lotion in her mini haul the other day because she always uses mine so I wanted to write a review on my three favourite products from the Simple range. To start I bought all of these from ASDA when they were on offer for 3 for £6 however they are available also online and from shops such as Boots. Since I bought these they have become part of my daily skin care routine ever since along with Benefit facial wash to remove my makeup. Step 1. 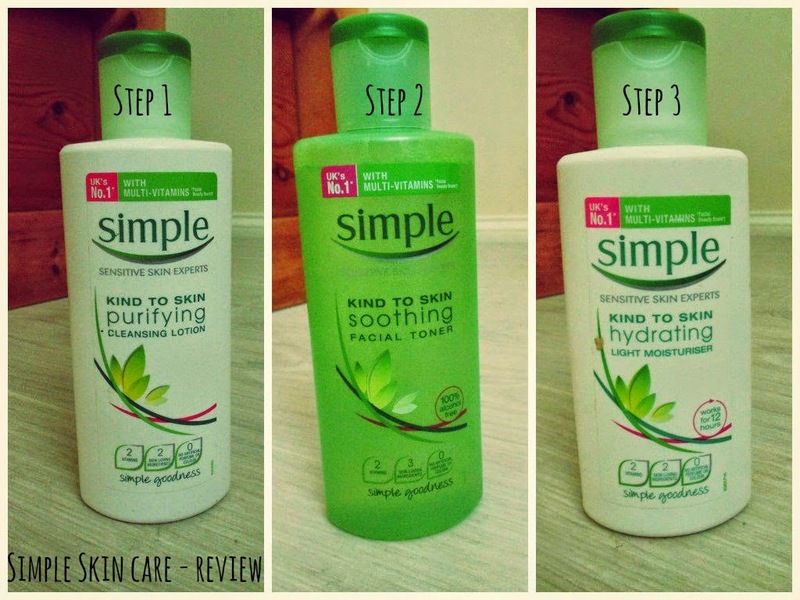 Simple kind to skin purifying cleansing lotion- I use this after washing my makeup off. I really like this as it like a cream and its not too greasy on the skin when applied. Step 2. Simple soothing facial toner- I then use the toner following step 1. It really refreshes the face and leaves my skin feeling very clean and cleansed. Step 3. Simple hydrating moisturiser- I then finish with the moisturiser. It finishes the routine really nicely. It leaves my face feeling cleansed and also when dry leaves the skin feeling soft. I love these products, I am definitely not looking back as my skin has improved and I hardly get any spots. It's a nice way to finish my day as it make your skin feel amazing and hydrated. I would definitely recommend these products. Let me know in the comments or on twitter (@emilyhan1394) about you're skin care routine and what products you use or about your thoughts on these. I would love to hear as I love to try out new products and find out how other people find these products. Well this post is a long time over due. 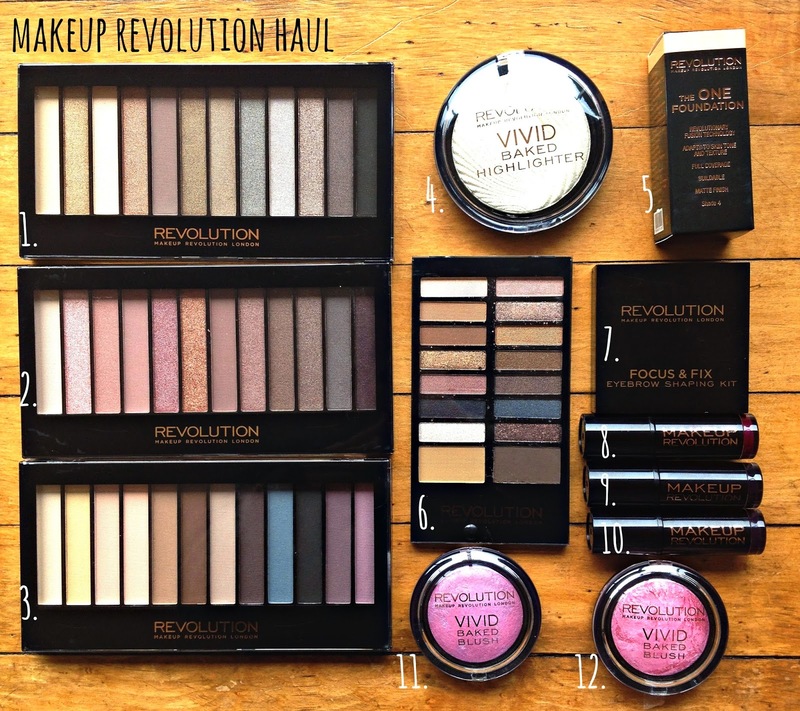 A week or so ago I decided that I would purchase some things from makeup revolution as I wanted to test the products out for myself as I saw many people trying them out. This brand is new-ish to the market and offers a wide range of products from foundation to eyeshadow palettes with multiple shades at bargain prices available online or at super drug. Recently, I've decided to treat myself to some new goodies... beauty related goodies. So last tuesday I paid a trip to Boots and grabbed a few things, and then on the wednesday decided to order some things from Superdrug. So hope you enjoy my mini haul. 1. Maybelline Falsies Mascara (£7.99 - here) - I bought this from Boots as literally that day I had ran out of my previous benefit bad gal lash mascara and new that I liked this one as I had previously used it. 2. Collection Extreme 24hr felt tip liner (£2.99 - here) - This I bought from Superdrug as I really wanted to try out a felt tip eye liner and for £3 thought why not! 3. MUA lipstick Juicy shade 15 (£1 - here) - Again like above I bought this from Superdrug and simply bought this due to not having a peachy toned lipstick in my makeup bag whilst I'm away from home. 4. Samples - Ok I thought I would include these in my haul because well they came with my delivery from Superdrug and I love the fact that they send samples. So I now have a sample size of both Garnier- Miracle skin cream and Jean Paul Gaultter - Classique. 5. Simple Cleansing lotion (£2.99 - here) - I got this from Boots as I always use Em's when I'm round hers so thought it was about time I bought my own. When I popped into Boots there was a 3 for 2 offer on these products so now I wish I had a better glance at the other products rather then buying 3 of these. oh well ey! 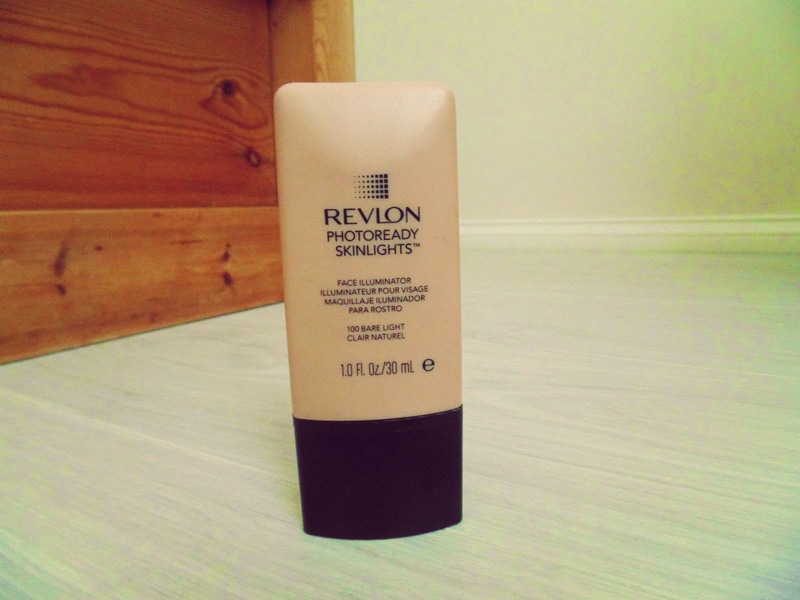 1, Revlon photoready Skinlights £11.99 Boots- I love this product. 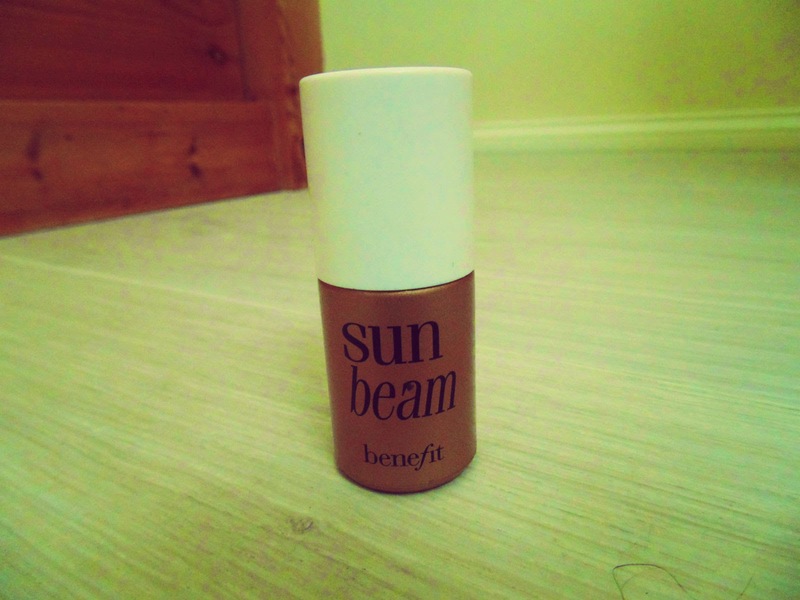 I use it as a primer to brighten my face before putting foundation on. It is also good to just wear on its own, if you don't want to wear much makeup it really brightens up the face and leaves it with shimmer glow. 2, Benefit watts up! 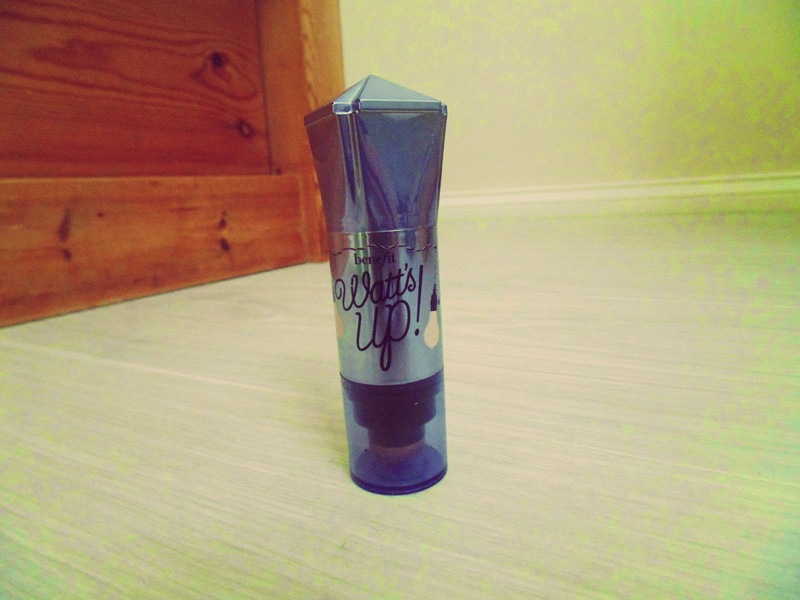 highlighter, £24.50 House of Fraser- I am a huge fan of benefit makeup, but this is one of my all time faves! I think it's such a good product to brighten up your face and highlight your best assets. I use it on my cheekbones, down the middle of my nose, on the top of my lip and also under my eyebrows. 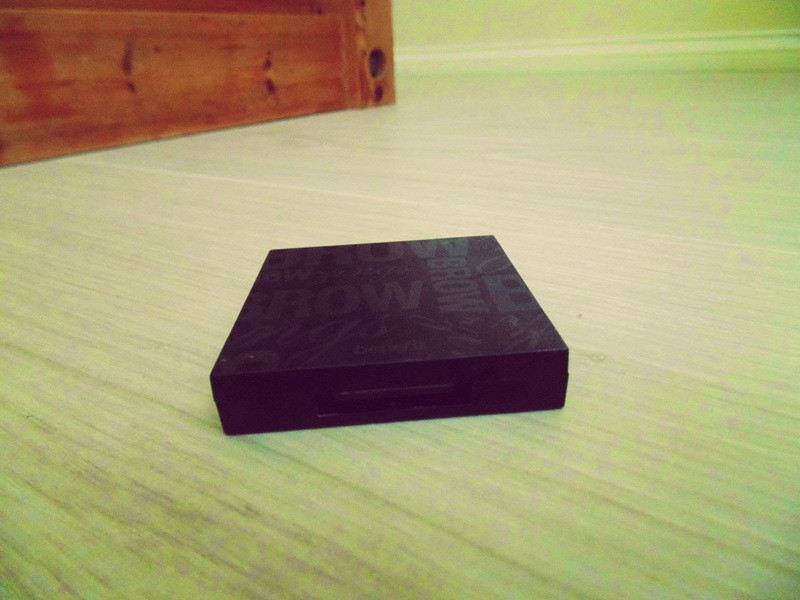 3, Benefit brow kit, £24.50 House of Fraser- This brow kit is the best eyebrow kit I have found. It really helps to define your face. I use the dark shade, but it also comes in middle and light shades. This product is great HD definition brow kit, which is a lot cheaper to do yourself then to get professional done. I also get many compliments when wearing this product and would definitely recommend it. 4, Benefit Sun bream highlighter, £19.50 House of Fraser- This product is good for people which have a darker skin tone, or for when going on holiday as it has a bronzed finished look. I like to put this product around my cheekbone area. 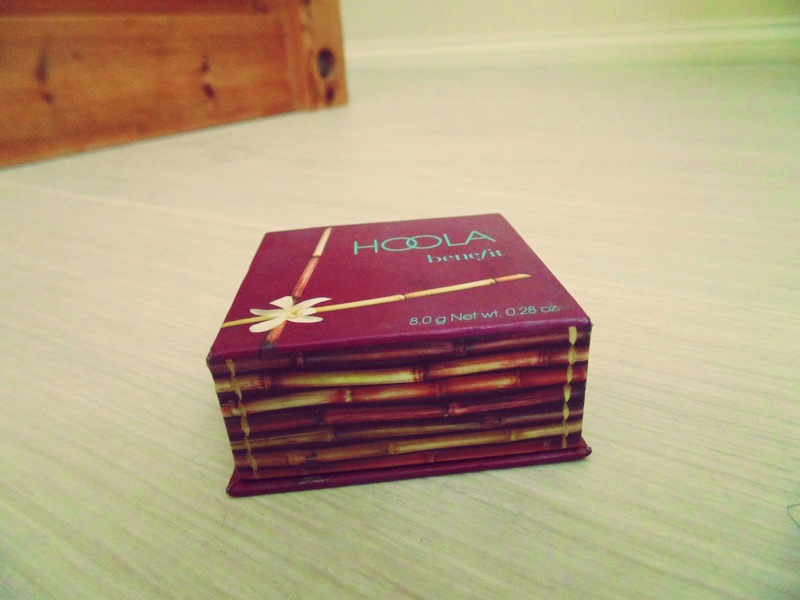 5, Benefit Hoola bronzer, £23.50 House of Fraser- I absolutely love this product. I have used many bronzers in the past but this is by far the best one. It illuminates your face and leaves you with a perfect glow, or if you want to have a more bronzed look apply more and to leave your skin with a healthy tan look. 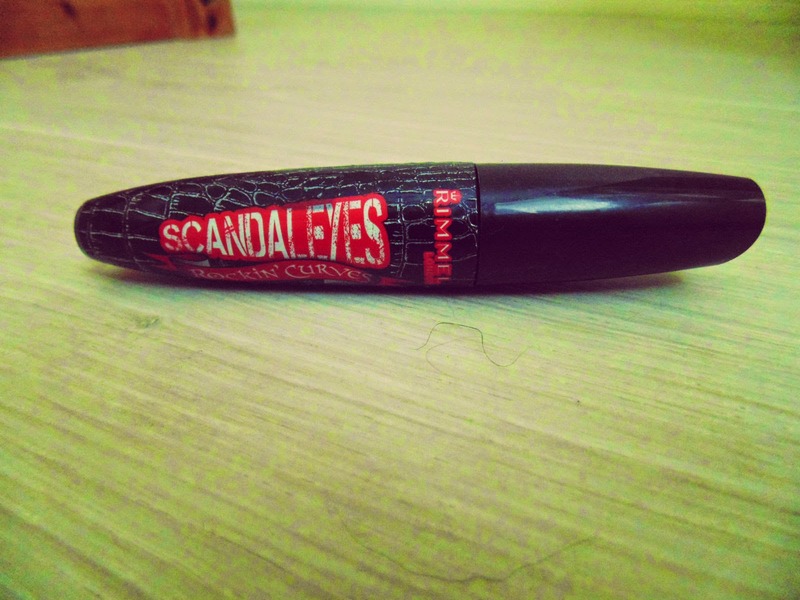 6, Rimmel scandal eyes mascara, £6.99 Boots- I also go through a lot of different mascaras but this one I do really like. It separates your lashes so you don have that clumpy look whilst also producing a thick black colour so your eyes become more defined. 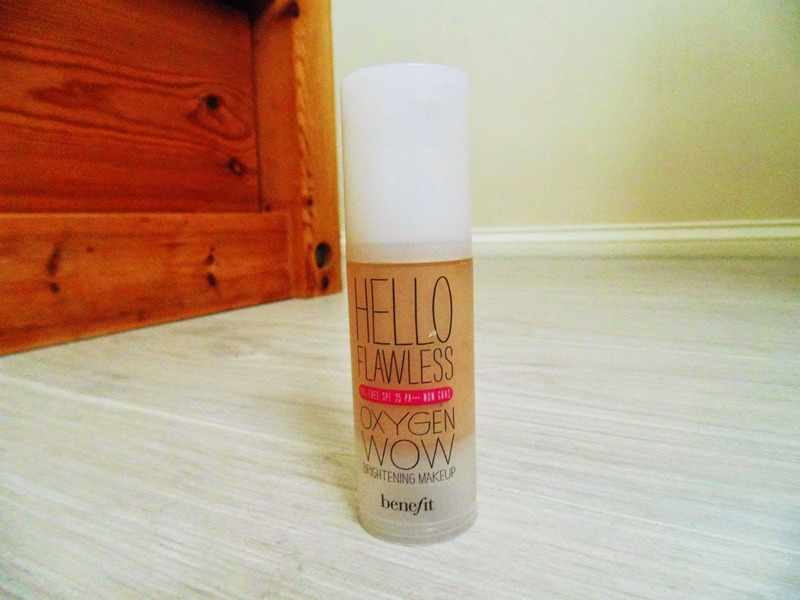 8, Benefit Hello Flawless foundation, £26.50 House of Fraser- I love this foundation I use the 'Honey' shade, it really does live up to its name 'Flawless' I would recommend this product to anyone who likes flawless coverage, with a plus of not feeling too heavy on your skin, this is my everyday foundation and I definitely will not be changing for a while. 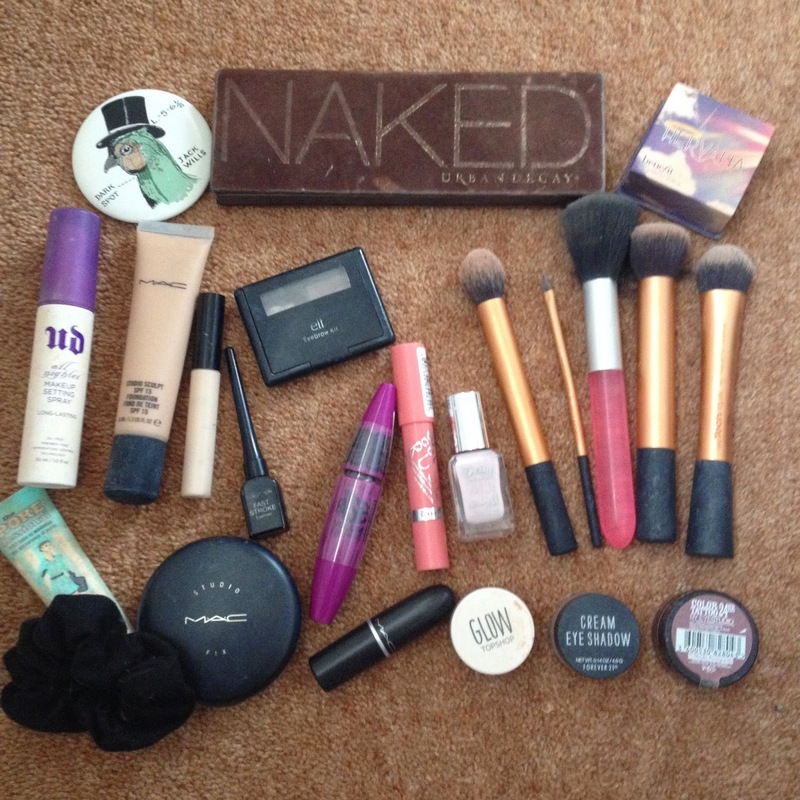 So today I thought I would share with you what I carry in my makeup bag at all times, whether I'm at home or away. 1. 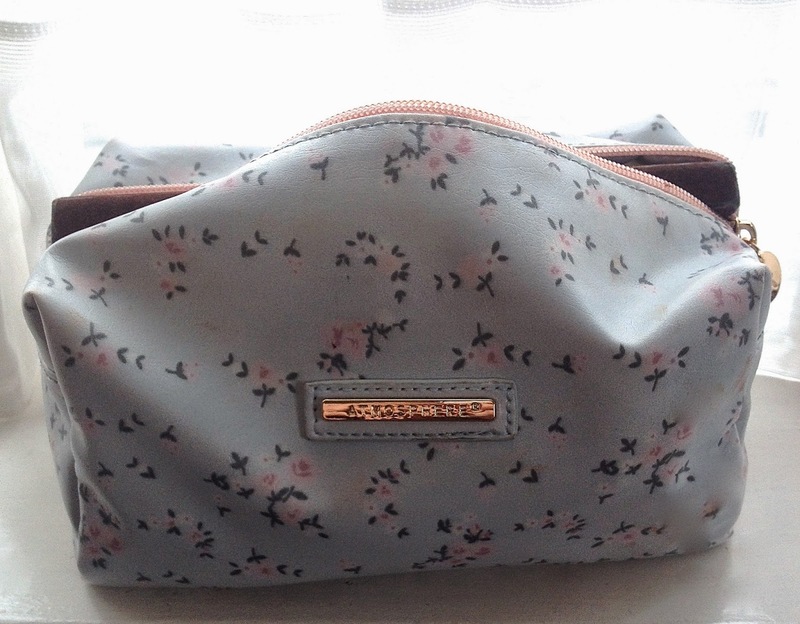 The makeup bag: This floral makeup bag was a birthday present from a friend which I received last month. It's from primark and I think it was only a couple of quid but I'm not sure if its in stock anymore. 2. Makeup Brushes: I currently have the following whilst I'm staying with family: real techniques buffing brush, expert face brush(my love), contour brush, detailer brush and elf's foundation brush which I haven't shown in the picture because it's so messy. 3.Foundation: mac studio sculpt in NW20 along with mac studio fix powder again in NW20. 4. Concealer: collection long lasting concealer which is raved about I have the lightest shade, I think. 3. Mascara: I've literally just swapped back to my old/new maybelline falsies from benefit bad gal lash. 6. Eyeshadows: I have the Naked palette which I adore, along with two cream eye shadows one from forever 21 in shiitake (which I don't know whether it's available in the UK) and a maybelline colour tattoo in pomegranate. 7. Eyebrow kit: elf eye brow kit (unsure of shade). 8.Lipsticks: mac lipsticks in angel, fabby, creme cup, japanese maple, up the amp, snob, pink plaid. As well as rimmel london long lasting intense colour balm in give me a cuddle. 9. Eyeliner: collection fast stroke. 10. Others: I just carry some scrunchies (mines from new look), urban decay all night makeup setting spray, jack wills mirror and barry m nail varnishes in both huckleburry and rose hip. So there's a little in sight into what I have in my makeup bag. Let me know in the comments below or @emilyhan1394 of any suggestions e.g. what other makeup items I should buy or blog posts ideas. 1. Make sure the degree you pick is the right choice for you! Ok so you may not know if it is for you until you start... but make sure you fully research before hand, attend opening days and speak to other students so it gives you a good idea on what to expect. If it's not the right course speak to your university they may let you swap if you find out early enough. 2. Join your university freshers page, course page, & accommodation! This is honestly the best way to meet people before starting university. It is especially useful if you are nervous about meeting other people and making friends. 3. Try and go to as many freshers events as possible! There's no doubt that you'll university will be holding a freshers week so try and go to as many as you possibly can. The week is a great way to meet loads of people, make friends and have fun! 4. If it's not for you it's ok to drop out! If you are finding that you hate university and that it's not for you or wrong course its ok to drop out. We know people who found it didn't live up to their expectations or just didn't like it and that dropping out was the best thing they did. You'll not get judged. Using the other above tips will really help with this one! Socialise whether you can seminars, in your flat, lectures, nights out etc. It will make making friends and your experience so much better. 6. Remember everyone's in the same position! Societies are a fun way to take time out from studying to do something you like. They also give you the opportunity to make new friends. So make sure you check out your university society fair or Facebook pages. This may sound obvious but we found that quite a few people didn't turn up to our seminars. They are a great way to clear things up talked about in lectures or what you may be confused with. Ps you may call these something else like workshops. 7. Do the reading and prepare work! This also sounds obvious but you don't want to be caught out by the tutor for not knowing what they are talking about. They can pick on you so have think of something to say. 8. Do the non assessed essays! They may seem pointless but its great practice for when you come to your main one as they offer good feedback. 9. Revise and plan ahead! Ok so come january and may you'll start having deadlines and exams, so make sure you give yourself plenty of time to revise or type up your essays. You don't want to leave them till last minute and panic... ps they do offer you another chance but remember it will only be a pass. 10. Enjoy your time and work hard! Most importantly make sure you balance having fun and work at university! You don't want to miss out on either factor of the experience whether socialising with friends or getting the grades you deserve. On Saturday 31st May, I went to go see one direction at Etihad stadium in Manchester. It was literally the best experience!, I would recommend anyone who is a one direction fan to go, its so surreal seeing such a famous boy band just metres from you. Harry is my fave! as you can tell, most of the pictures above feature him. But saying that, all of them are so talented and gorgeous! What I would say is that anyone who is going to an upcoming concert or is thinking of purchasing tickets for their next tour then, you need to make sure you get there early if you want standing tickets. I was in the blue zone, standing. I got there at about dinner time, round about 12 o'clock, but if I was to do it again I would of chosen to be about an hour or two earlier, although I did get a good place as you can see, I would of preferred to have been right at the front. Secondly don't bring too much food, we brought a cooler bag, thinking we were being smart so that we didn't have to spend too much money, when we was there however, food, drinks, cooler bags, chairs, anything like that is not allowed in the actual stadium you can have them while queuing but bring food in disposable bags because it is very difficult to leave the queue as there is so many people, and also the queue keeps moving to make more room for oncoming people which could mean that you loose your place. and finally were light clothing, because there is so many people, even if it is a really cold day it is unbelievably hot when the concert is taking place, especially because the tour dates are mainly in summer time, I would definitely recommend to wear shorts, dresses ect. Apart from that I had the most amazing time, I will definitely be going again. is anyone going to an upcoming concert? ill be happy to answer any queries you have. Or if anyone has already been, I would love to hear about your experience.